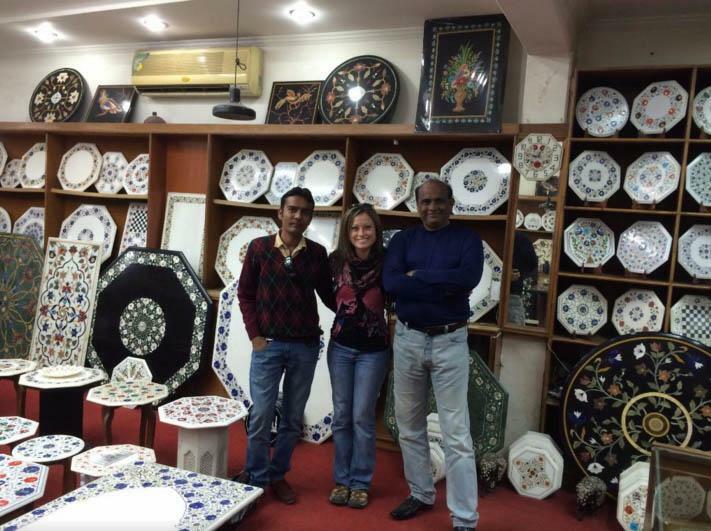 Cool place to stop in Agra to learn about the marble work you see on the Taj Mahal and maybe even buy a piece for yourself! 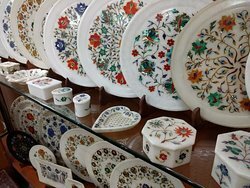 Visit this place during my trip of Agra , they have good collection of marble inland products, inspired from Taj Mahal , highly recommended if you are looking for some nice products of natural semiprecious stones . 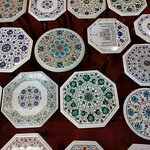 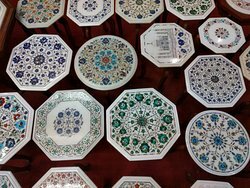 They have high quality products of marble inlay , with nice hospitality , they gives you live demonstration of they art which is perform by the direct descendants of the artesian Those participated in construction of Taj Mahal in 17th century !! 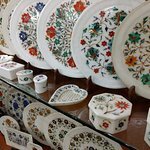 Get quick answers from Life Handicrafts staff and past visitors.